an American physicist and technologist, co-founder of MIPS Computer Systems, chairman of MicroUnity since its incorporation in August 1988, and managing partner of VenEarth Group . He received a B.Sc. in physics from Harvard University and a Ph.D. in mathematical physics with Sir Roger Penrose as a Rhodes Scholar at University of Oxford. 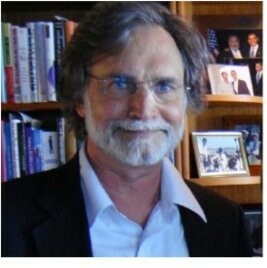 He was an IBM visiting scholar at Stanford University and a research staff member at IBM's T.J. Watson Lab and at the MIT Computer Science and Artificial Intelligence Laboratory. At the end of the 70s, while affiliated with the MIT Computer Science and Artificial Intelligence Laboratory, along with Jack Holloway and Richard Greenblatt, John Moussouris was involved in the development of a dedicated chess processor, the Chess-orientated Processing System CHEOPS . This page was last edited on 2 April 2019, at 19:45.